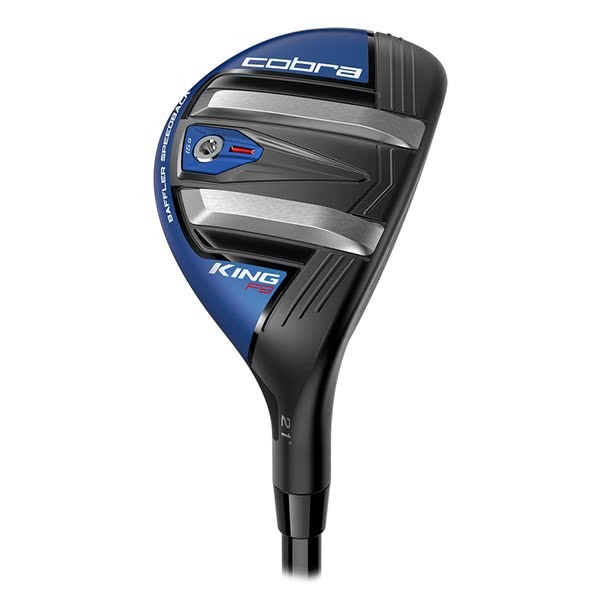 The COBRA KING F9 SpeedBack ONE LENGTH Hybrid features low, back weight with a re-engineered BAFFLER rail design for improved speed, stability and launch from all types of lies. SPEEDBACK - Re-engineered BAFFLER® rails and a low, back tungsten weight optimize turf interaction and lower the CG for improved launch and faster clubhead speed from any lie. 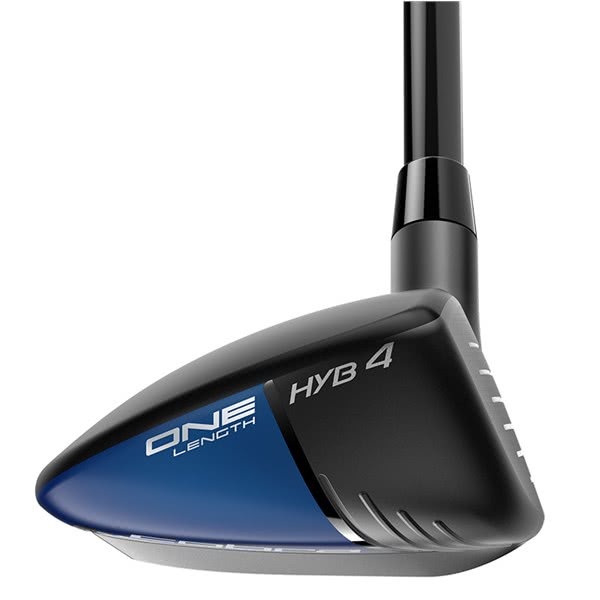 ONE LENGTH™ CONFIGURATION - Engineered using matching 7-iron length, lie and swing weight specifications, a ONE Length configuration simplifies your game by reducing the variability in your swing for increased confidence and consistency. 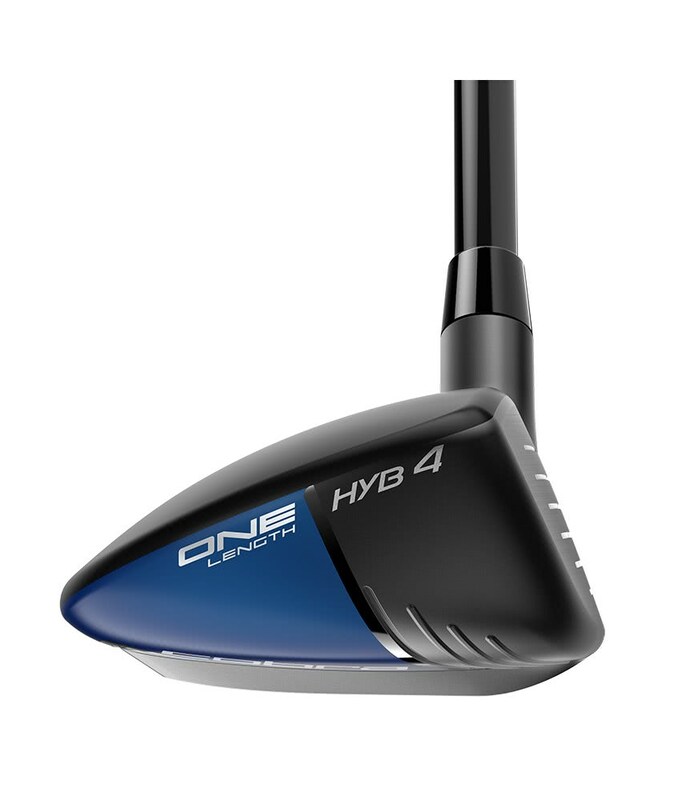 FORGED 455 STAINLESS STEEL FACE - A thin, forged high-strength stainless steel insert maximizes flex for increased ball speeds and launch across the face. 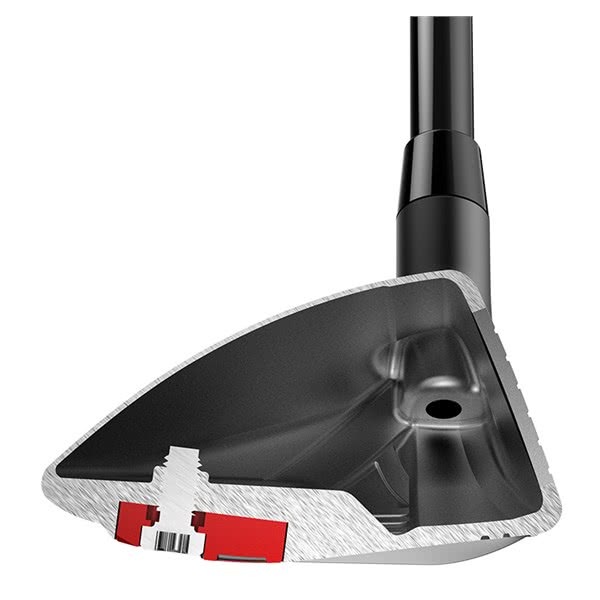 HIGH MOI SHAPE - A 10% larger clubhead increases MOI, while a lower toe and a square leading edge combine to promote a lower CG and improved alignment for increased accuracy and precision. 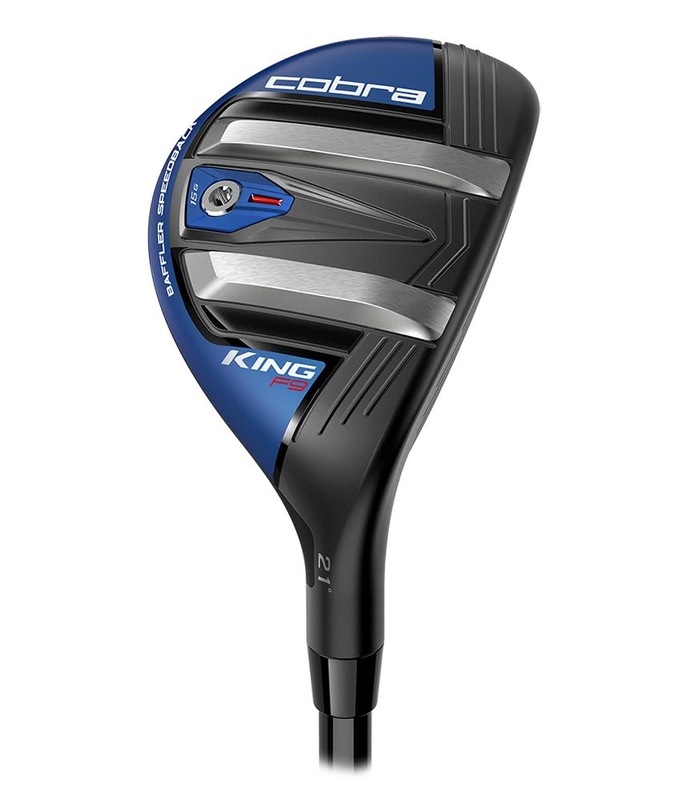 COBRA CONNECT™ - COBRA CONNECT, Powered by Arccos™ features electronically enabled grips that work in conjunction with the Arccos Caddie app, allowing users to track their stats and improve their game. 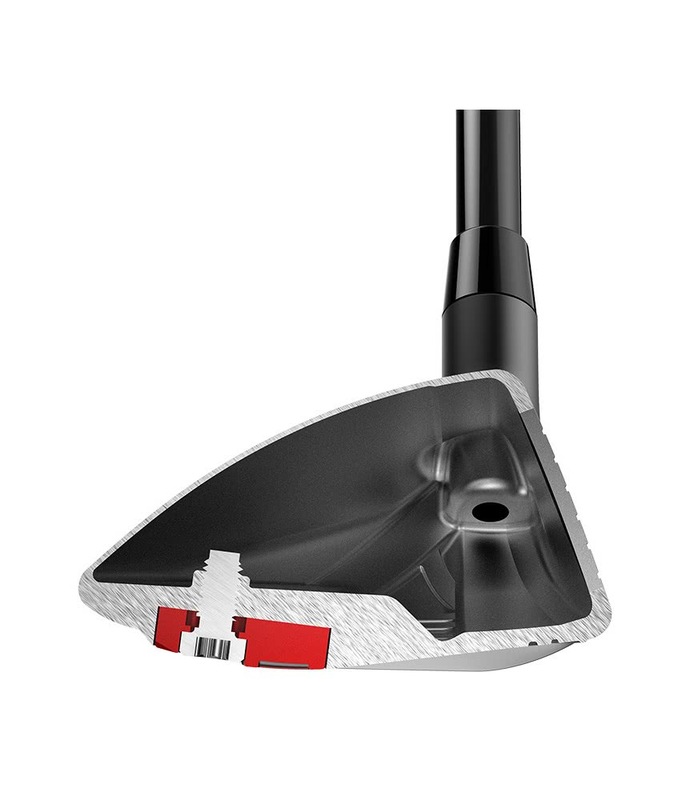 BACK CG POSITION - A fixed, interchangeable weight positioned low and back results in a high, towering ball flight for maximum carry distance and forgiveness. 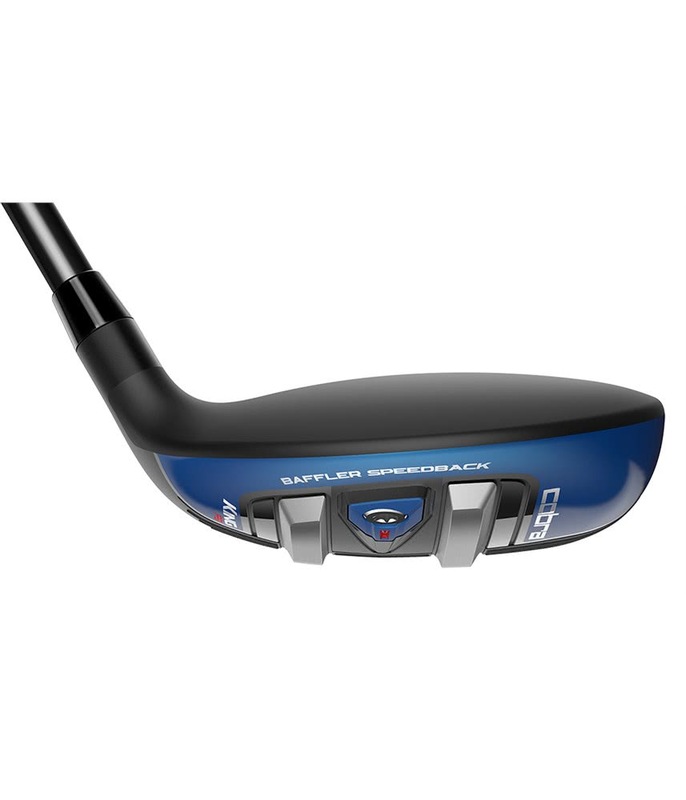 Cobra have made the F9 SpeedBack ONE LENGTH Hybrid available in two lofts RH & LH (21° & 24°) with the addition of a 19° in right hand only. 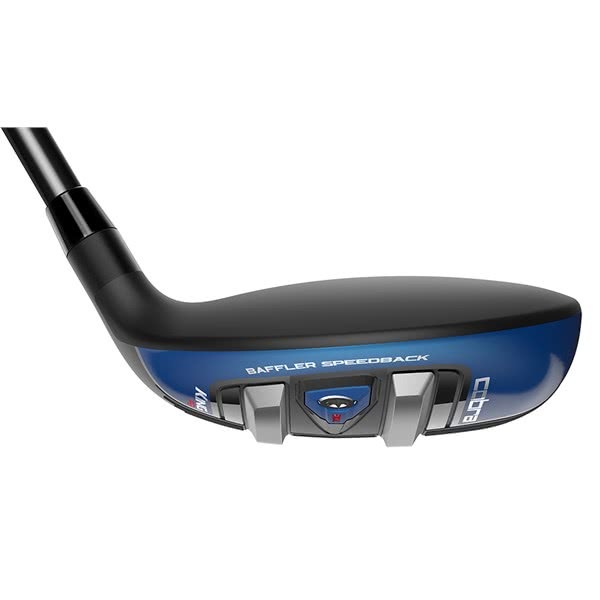 They have fitted the F9 SpeedBack ONE LENGTH Hybrid with the premium Fujikura Atmos Blue as standard and included a Lamkin Crossline Connect.